On Wallace Lake Paul Conroy stole the show with a magnificent 110lbs of carp, all caught on the pole on peg 46… A great effort, it was only a matter of time before the ” magic ton” was weighed in again..! 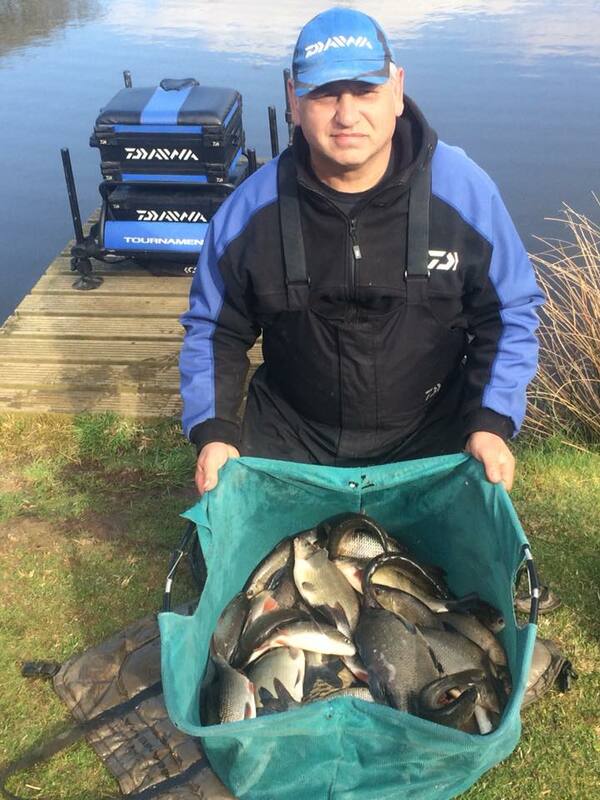 Some very steady 40lb+ backup weights throughout the lake provided great fishing for the chasing pack. On Queensberry Water Matty Threfal won section 2 with a nice 52lb + net of carp caught shallow on the pole from peg 26, again there were some nice weights following on behind. Phil Baird won section 1 on Queensberry Water from peg 20 with 44lb +, and surprisingly NOT catching any of his fish in the culvert..,! Nice to see the carp spreading out and most pegs producing a few, pegs 16 – 19 had more skimmers and ide but the fish were ” Fizzing” a lot and bites were shy. A great night’s fishing for all, and a good practice for those fishing the ” Spring Festival” weekend… Good luck guys..! Apologies for the lack of photos tonight, it was dark by the time the weigh-in was complete due to the large numbers of fish caught..!! !